At Freiwald Law, we litigate many types of complex and catastrophic cases, including those involving medication errors. 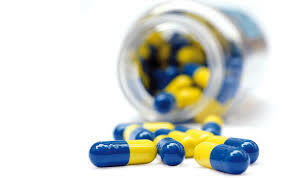 Medication error cases include injuries caused by prescription errors, medication mistakes, and drug defects. Mistakes happen. However, mistakes that happen as a result of someone’s negligence or as a result of a manufacturer’s defective product, are not acceptable. Unfortunately, these errors often lead to serious and permanent injuries, devastating health complications, and, in the extreme cases, even death. Clearly, you as the patient are not in control of how medications are dispensed at the pharmacy. You are not involved in supply chain quality control from the time the pills are sent from the pharmaceutical company to the time they are counted and poured into your pillbox. As an in-patient in a hospital, rehabilitation or nursing facility, you are also not in control of how medications are administered to you. The health care provider or the drug company is responsible.